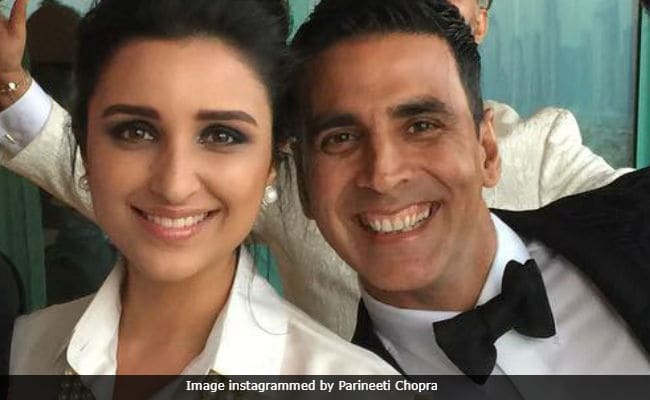 Parineeti Chopra said, "I really wanted to work with Akshay sir from a really long time"
Actress Parineeti Chopra, who is all set to co-star with Akshay Kumar in Kesari, says that the film 's 'perfect' for her to star the actor, reports news agency IANS. After Parineeti was roped in to play the lead heroine, she tweeted, "So excited to be a part of this legendary journey." Of her role in Kesari, she said, "That is a secret but I am very excited and very honoured that I am in Kesari because it is one of the biggest films Dharma Productions is making. I really wanted to work with Akshay sir from a really long time. I think this is the perfect film because he is Punjabi and he feels for the subject that the movie is based on. It's going to be a mammoth film, so I am very excited to start shooting of Kesari," reports IANS. Kesari is based on the Battle of Saragarhi, 1897. Interestingly, apart from Akshay's film, two more projects on the same subject are also in the pipeline - Ajay Devgn's Sons Of Sardaar and Randeep Hooda's The Battle of Saragarhi. Akshay Kumar is currently busy with the promotions of his forthcoming film PadMan, which hits the screens on February 9. Meanwhile, Parineeti recently wrapped the shooting of Sandeep Aur Pinky Faraar, opposite Arjun Kapoor. Parineeti and Arjun are co-stars of 2012 film Ishaqzaade (his debut movie). After Sandeep Aur Pinky Faraar, they will start filming Namastey Canada. "Arjun (Kapoor) is the closest friend, like the way all normal friends are with each other. We defend each other, we are loyal and fight for each other, so it's the same like that for Arjun." Directed by Anurag Singh and produced by Karan Johar, Kesari is slated for a 2019 Holi release.